It is our ongoing belief that each child who passes through the doors of Wildground Schools and Nursery has the ability to be successful. 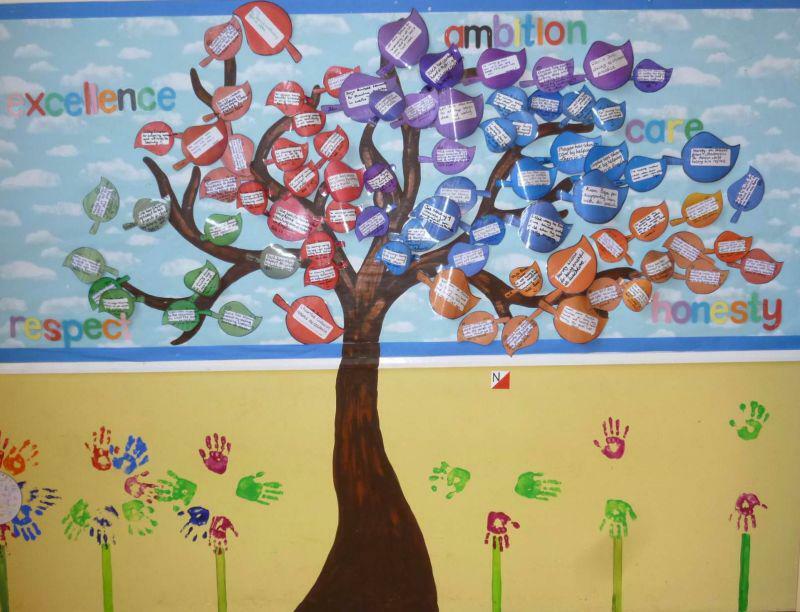 Both children and staff aim to 'learn and succeed together for the journey ahead'. Ensure that the child is at the centre of all that we do. At all times every child’s learning and wellbeing matters. Foster a culture of inclusion in all aspects of school life, through equality of opportunity and appropriate varied provision, ensuring best outcomes for all. Develop creativity by finding new ways to challenge and enrich the learning opportunities for our children including personalising the curriculum to support best progress for all. Prepare children for a new fast moving world by developing confident and competent learners who are able to effectively transfer their skills in a range of contexts. Provide a whole school learning environment where expectations are high, and that develops happy, caring individuals with a love of learning. As a Federation our School Values are at the heart of all that we do, and all that we strive for, in order to improve outcomes for all and raise aspirations. Our Core Value is "LEARN AND SUCCEED TOGETHER FOR THE JOURNEY AHEAD"
We encourage all to REACH for better in all that they do. To deliver a broad and balanced curriculum to each and every pupil regardless of ability, age, gender, race and religion by providing knowledge, skills and understanding necessary for their present and future lives. To ensure that the curriculum is delivered in an enthusiastic, challenging and stimulating way building on children’s existing strengths and interests. To ensure that assessment is an integral part of Teaching and Learning, and that it has a clear structure and is meaningful to all. Assessment for learning should be used throughout the curriculum. To maintain the school’s behaviour policy. To ensure that expectations of behaviour are high and that reinforcement is positive and consistent throughout the school. To support children to develop social skills e.g. politeness, co-operation and respect for others. To enrich the curriculum by providing enough planned and appropriate high quality resources throughout the school. To support each child to learn, succeed and continue to improve. To work effectively as a whole school team and to demonstrate commitment, care and professionalism at the highest level. To feel involved and valued in their child’s learning by working in partnership with the school to celebrate efforts and successes. To share in their child’s learning journey and bring their own valuable expertise and experience to the school. To support and challenge the school by using their external perspective. To enable staff, pupils and parents to be aware of the role of governors and who individual governors are, by developing links with the school improvement plan and the SEF, and by working in partnership with staff, children and parents. To develop governor roles in order to support of monitoring & evaluation. To ensure that all members of the school community create a safe, purposeful, stimulating and welcoming environment which promotes learning for all. To ensure that all the school community feel pride and respect for their school and themselves. To give the school a higher profile within the local community and where possible to use resources within the community to enhance children’s learning. To create a centre for learning which positively seeks to enhance the quality of life within the community, improves children’s learning and raises the profile of the school within the local community. To raise the children’s awareness of the wider community – local, national and global.